There's something magical about exploring underwater! I got out for a paddle today with Nat, one of my oldest and closest friends, a mate I met at university when I was 21 and have remained friends with ever since. We’ve shared houses together, played rugby together, and moved to different cities together. I was incredibly excited when he told me he was thinking of getting into ski paddling after reading my Epic V8 ski review. Whilst he practiced getting on (and falling off) different skis at Sydney Harbour Kayaks, I decided to make the most of the sunny weather and try to get my roll going again. I hadn’t attempted one for close to a year, with my last few attempts back then being a hit and miss affair, so I didn’t really have any expectations as I pulled up to the SHK beach for attempt number one. No doubt the form was rough but I was pretty happy with the end result. I’d spent all Winter practicing stretching out across my rear deck, and felt this was definitely helping with the roll. Bouyed with confidence, I pulled in close to the marina and tried a few more. 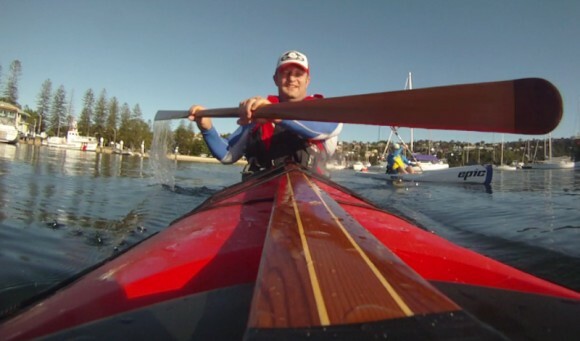 Happiness is paddling under a Sydney Summer sun! FP – Nice to see you back doing tricks in the ‘Naut. Just looking at the clip of your miss, it looks like you should crunch down more (up actually) as close to the deck as you can, just as you are about to commence that sweep; then at the finish “lock it in” with a little forward brace, (this little trick is often the difference between breathing air and swimming). We have a heavy blanket of white snow here in Montreal. I think the problem is in the hip flick. I ran the video a few times and noticed that your trunk is following the rotation of the kayak. No hip flick. 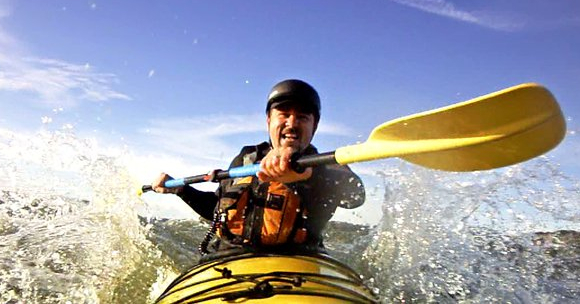 You’re trying to roll the kayak and you at the same time. Extend your arms out at the surface, rotate your pelvis to flick the kayak almost upright… then push with your arms to side your body over. You may want to practice and loosen those hips first by rocking and rotating the boat side to side keeping your torso upright. Use your paddle to press on the water if you go too far. BTW, with the ground so close, you could have just pushed the paddle against the bottom. You also reset your seating position all the time; sounds like you may be too loose inside; a tighter fit would make things easier. Anyway, I envy you and the weather. And let me know if this tip helped. FP, if we do hook up on the water in February maybe we can sort out that roll a bit. It used to regularly fail my rolls until Greg Schwarz pointed out some really basic mistakes I was doing and things have improved dramatically since. Hmm. You might want to try ‘pausing’ i.e. don’t rush the roll. Wait until you are fully upside-down. Then ‘pause’ for a bit. Then set-up. Then roll. My guess from the vid is that you’re rushing it. Spend more time upside down. Relax. Count 20-30 seconds. Then roll. Just my 2 cents. 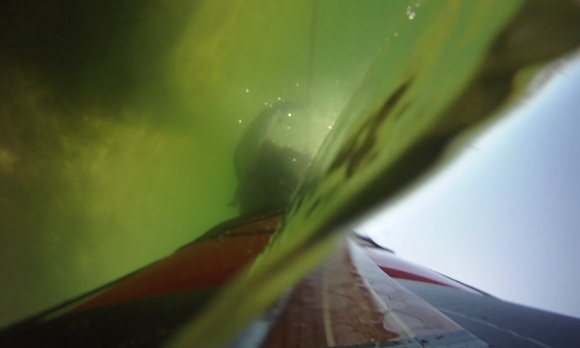 That is one awesome video, I am sat here (in the dry) wondering how on earth you rigged the video so it was stable enough to survive a roll – and I am glad I just have a sit-on kayak so I don’t have to worry about the roll. Haha, great question! The thing is Sue, rolling is great if you want to get into more energetic and crazier paddling activities – surfing, ocean swell etc. In those cases you WILL get rolled over, and it is far more efficient to roll than attempt to rescue yourself in the middle of surf, ocean swell etc! !